Cheap imports have allowed clothing retailers to lure shoppers with attractive prices. But consumers have little information about conditions in the factories where their clothes are made. Dress from Farmers $25. Jumper from Hallensteins $29.99. T-shirt from Jay Jays $20. It’s cheap couture made in Bangladesh and more of it’s arriving in shops. Imports from Bangladesh have risen by over 1000 percent in the last decade, making it our second-largest source of clothing after China. Around 80 clothing retailers have signed a binding accord to improve safety conditions in Bangladesh's garment industry. But the spotlight has been turned on conditions in Bangladesh’s clothing factories after the horrific deaths of over 1000 workers in Dhaka’s Rana Plaza. The multi-storey Rana Plaza building collapsed in April, 5 months after a fire at another clothing factory killed over 100 workers and injured many others. Succumbing to public pressure, around 80 clothing retailers have since signed a binding accord to improve safety conditions in the country’s garment industry (see "Accord rules" below). Among them are international brands Benetton, H&M and Esprit. Major retail chains we visited here – Ezibuy, Farmers, Hallensteins, Jay Jays, Kmart, Postie Plus, Millers, and The Warehouse – also sell clothing made in Bangladesh. But to date only Speciality Fashion Group (owner of Millers) and Kmart have put their name to the accord. Kmart’s decision to sign coincided with Australian media reports of sweatshop conditions in factories used by major retailers across the Tasman. An investigation by the ABC’s Four Corners programme found an audit of 1 Bangladeshi factory that had uncovered evidence of child labour. In the wake of the Rana Plaza disaster, Kmart said it had audited all its suppliers in Bangladesh and found some “high risk” factories it would no longer work with. While the company said it required all suppliers to meet minimum labour and safety standards, it admitted it didn’t “always get this right”. Over 100 years ago, sweatshop conditions in clothing factories here forced a government inquiry. Dubbed the “Sweating Commission”, the inquiry ultimately led to legislation requiring clothing factories to be inspected to ensure safe working conditions. Today, most of our clothing is imported and the average consumer knows little about conditions in the factories where it was made. Since import restrictions were lifted in the 1990s, cheap clothes from China have flooded into shops, rising in value from $106 million in 1992 to close to $1 billion in 2012. But as wages in China have inched up, the garment trade has turned its attention to Bangladesh and other Asian countries where labour costs remain cheap. The Warehouse recently named Bangladesh as a new source of supply. The deluge of cheap couture has kept down retail prices. Overall clothing prices have been relatively flat for much of the last 20 years. Statistics NZ data show the price of some items, including jeans, has even fallen relative to the Consumer Price Index. Despite flat prices, clothing retailers have been doing good business. Figures published by the Retailers Association show revenue for the clothing trade has increased 80 percent since 2000, compared with 72 percent for other main street retailers. But the extent to which the rag trade’s success has relied on selling garments made in factories like Rana Plaza remains an unanswered question. International labour and human rights groups have been campaigning for clothing companies to reveal their suppliers’ locations so that working conditions can be independently assessed. But most retailers continue to treat this information as a trade secret, citing commercial confidentiality. They say their own codes of practice and routine auditing of factories are sufficient safeguards. However, the results of these audits are rarely made public, leaving consumers none the wiser. Of 13 major companies we contacted, only 4 (Country Road, Kathmandu, Kmart and The Warehouse) had published any information about their policies for sourcing from overseas suppliers. Much of this was limited to high-level statements about commitments to ethical sourcing (see "Big brands" below). Kathmandu, Kmart and The Warehouse state in their 2012 annual reports they have stopped working with some suppliers who failed to meet the requirements of each company’s respective ethical-sourcing code. But the reports stop short of identifying these suppliers by name. Kmart has since pledged to disclose a list of all its apparel suppliers and their locations. Kathmandu and The Warehouse have yet to follow. The Warehouse is also yet to reveal if it will sign the Accord of Fire and Building Safety in Bangladesh (see "Accord rules" below). The company says it will review the accord to “assess its applicability within our supply chain”. It says 1.2 percent of its clothing came from Bangladesh in 2012 and “in the case of the recent factory tragedies in Bangladesh we can confirm that as far as it is possible to verify (we have thoroughly checked) none of those factories were registered with us or the recipients of our orders”. Of the other clothing retailers we contacted, none which import from Bangladesh are currently planning to sign the accord. The Just Group, which includes Dotti, Jacqui E, Jay Jays, Just Jeans, Peter Alexander and Portmans, is facing pressure across the Tasman to sign up. Owned by Premier Investments, the group is the subject of a petition being run by Oxfam Australia calling on companies to put their name to the accord. Oxfam has previously criticised the Just Group for its treatment of workers in Australian and overseas supplier factories. In 2011, it campaigned successfully for the chain to end sandblasting of denim, a practice linked to the debilitating lung disease silicosis. The Just Group did not respond to our requests for information on its sourcing policies. Evidence of sweatshop conditions in clothing factories has yet to spur international lawmakers into action. Efforts have focused on creating voluntary guidelines. The United Nations Guiding Principles on Business and Human Rights are among the most recent. The principles set out companies’ responsibilities to respect human rights, including carrying out “due diligence” to assess the impacts of their operations and publicly accounting for how they address these impacts. But critics have dismissed the principles as hand-wringing. Without a legal instrument to back them up, they doubt whether much will be achieved. Much of the pressure on companies to clean up has been from public-interest groups rather than lawmakers. Media publicity about the conditions in clothing factories has also been a major factor in persuading companies to open up. For Bangladeshis, it’s taken the tragedy of the Rana Plaza collapse and the deaths of more than 1000 garment workers to begin to force change. Publishes supplier details? No. Country Road says its suppliers are required to sign the company's Code of Labour Practice, which aims to prevent vendors from using child labour, paying unfair wages or exploiting workers. Publishes supplier details? Cue is accredited with Ethical Clothing Australia for its Australian-made clothing. The scheme aims to ensure Australian workers receive fair wages and decent conditions. Accredited products carry an "ethical clothing" tag. Publishes supplier details? No. The company says it requires suppliers to sign-up to its Code of Conduct. Suppliers are audited every 2 years. 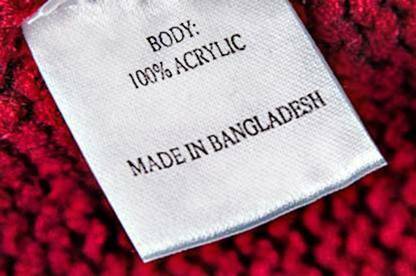 It says its Bangladesh-made clothing is sourced via German company Otto, which has signed the Accord on Fire and Building Safety in Bangladesh. Publishes supplier details? No. The company says it deals direct with 1 factory in Bangladesh. It says no one from Farmers has visited the factory although one of its suppliers has and recommended the factory. Publishes supplier details? No. The company says it sources 1 percent of it goods from Bangladesh. It said: “because of the complexities in sourcing from Bangladesh it is probable we will phase out supply from that country over the next 12 months. Accordingly there are no immediate plans to join the Accord on Fire and Building Safety”. It says staff have visited the factory it sources from and obtained independent audits. Publishes supplier details? No. Jeanswest said it was planning to publish a report on its website to give consumers information about its factories and the policies and standards it follows. Publishes supplier details? No. Kathmandu states its supplier agreement sets minimum employment conditions and includes a "zero tolerance" policy for the use of child and prison labour. The company says 60 significant suppliers (companies it pays more than US$50,000 annually) have signed the agreement and 28 percent have been audited to assess compliance. In 2012, Kathmandu stopped sourcing from 2 factories in China which failed to meet required standards. Publishes supplier details? Kmart has pledged to publish details of apparel suppliers and their locations. The company says its “Ethical Sourcing Code” requires suppliers to treat workers with respect, comply with applicable labour laws and safety standards, and not use child or forced labour. 8 factories were deregistered in 2012 for breaches involving attempted bribery and child labour. Kmart has signed the Accord on Fire and Building Safety in Bangladesh. Publishes supplier details? No. Speciality Fashion Group has signed the Accord on Fire and Building Safety in Bangladesh. Publishes supplier details? No. The company says it places 1.6 percent of total spend with Bangladesh suppliers. It has suspended further orders with one of its 4 suppliers “until an independent internationally recognised accreditation is received”. Publishes supplier details? No. The Warehouse says its “Ethical Sourcing” programme requires supplier factories to meet minimum labour and environmental standards. It says it audits factories to assess compliance but also accepts other third-party assurance reports. In 2012, it stopped trading with 10 factories which failed to meet its required standards and stopped trading with 25 factories in 2013. The company hasn’t signed the Accord on Fire and Building Safety in Bangladesh. It’s undertaking “further fire and electrical safety due diligence on all our active Bangladesh suppliers”. Annual revenue is taken from annual reports where available. "We found clothing made in" is sourced from store visits during August and September 2013. Cheap imports have allowed clothing retailers to lure shoppers with attractive prices. But consumers have little information about conditions in the factories where their clothes are made and may be unwittingly buying garments manufactured in places just like Rana Plaza. 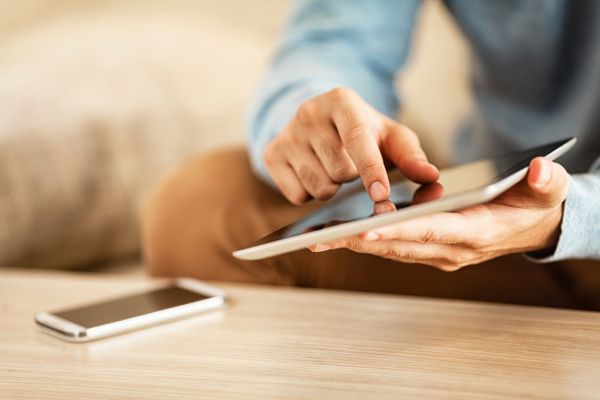 Clothing retailers need to substantiate claims their supply chains are responsible. Disclosing details of the factories where they source their products would be a first step. The Accord on Fire and Building Safety in Bangladesh was initiated by trade unions and labour-rights groups following the Rana Plaza disaster. The accord requires signatories to provide a list of their suppliers’ factories for independent inspection. The accord steering committee comprises representatives of unions, company signatories and the International Labour Organisation. The committee will publish a list of suppliers used by signatory companies and reports of factory inspections, although information linking signatories to specific factories will remain confidential. To date 87 clothing retailers, mostly from Europe, have signed the accord. Signatories which have retail stores here include Cotton On, Esprit, Forever New, Kmart, and the Specialty Fashion Group (which owns the Millers, City Chic and Crossroads chains). According to the Retailers Association, clothing retailers have a gross margin of 48.9 percent, the second-highest in the retail sector. High margins mean it’s possible to find imported gear that rivals the price of clothing made here. At Country Road, we found a Chinese-made polyester dress for $169; a Kiwi-made cotton dress at local designer Voon was selling for $160.